Learn the harmonica with this all-in-one learning pack. Includes one harmonica, tutorial and CD for beginners. 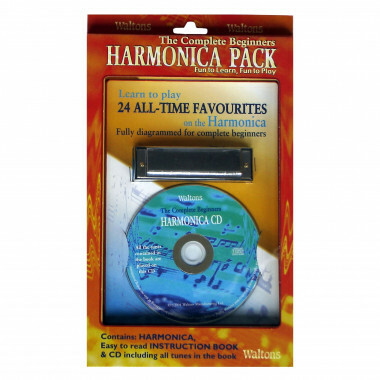 Learn the harmonica with this all-in-one learning pack. Includes one harmonica, tutorial and CD for beginners. You can play a wide range of tunes with this harmonica in the key of C. Harmonica is a wind instrument used in many Irish songs & ballads.